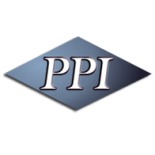 When you partner with PPI Flooring, you are receiving nearly three decades of industry expertise from Orlando's top epoxy flooring professionals. Manufacturing, commercial, food service, or any other industry, we have the tools and knowledge to keep your workplace running smoothly. 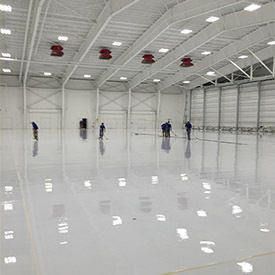 We utilize a range of high-quality flooring products in combination with a protective epoxy coating plan that can be developed to satisfy every requirement. Whatever the problem, we’ve got the solution. 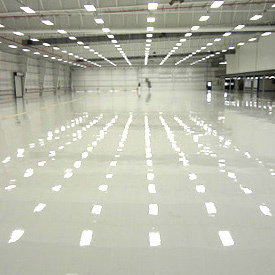 PPI Flooring handles special epoxy coatings such as slip-resistant surfaces, chemical containment, clean room flooring, safety lines, and aesthetic finishes to provide you with a top-shelf image. 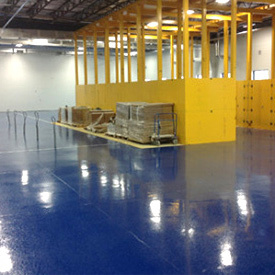 The end result is a beautiful epoxy floor coating provided by Orlando’s best flooring company.